We recently just had our first birthday party in the park as we celebrated the birthday of my second daughter. This meant a relaxed day for my guests, but I a lot of prep work for me. To keep with the picnic theme I had guacamole, hummus, sandwiches, pasta salad, quiche, and homemade cupcakes using the StayBrite Baking Cups from Reynolds. To help me make the cupcakes I also referred to the Reynolds website where I found incredible tips and recipes with some of my favorites being the Bunny Cupcakes and the Pink Cupcakes. 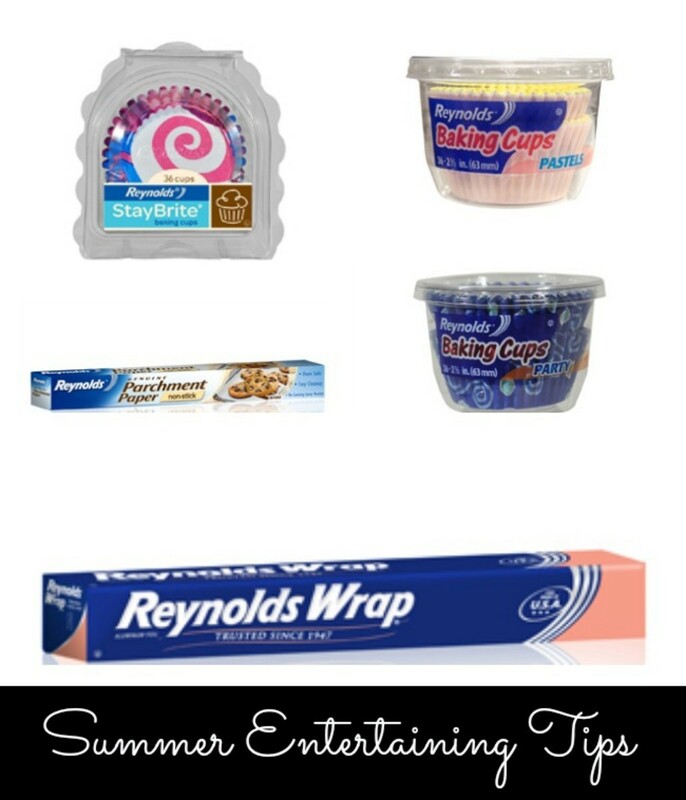 Products from Reynolds are also great for a variety of summer entertaining options from a barbecue, a boating excursion, or a pool party, theres no doubt that warm weather provides plenty of opportunities for relaxing (and eating!) with friends. Some of our favorites for a summer party include the Standard Foil, Grill and Oven Bags and Parchment Paper. DIY can and bottle koozies: For a creative, DIY spin on foam koozies, wrap your drink in foil to keep it cold out of the cooler  and use a permanent marker to avoid confusion over whos drink is whos! Foil drip pans: An indispensable tool for soaking wood chips, marinating and indirect grilling. Make drip pans by molding Heavy Duty Foil over an inverted baking dish and placing below the grates to collect moisture from the food above.